It's been a loooong time coming, but it's finally here now!!! Okaaay, here I am again getting senti over when I was an intern for Cream Silk. Even waaay back then, it was already the dream to have the endorsers on the tubes. Unlike plenty of the top competitors of Cream Silk which are foreign franchises, Cream Silk is a purely Filipino brand. It was created here for Filipina hair. 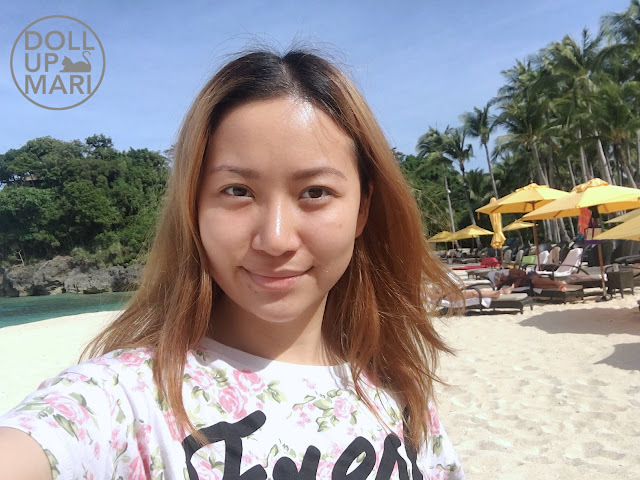 For a brand whose equity almost always equates to the word Filipina, it really is just about time to showcase the best of Filipina beauty on the tubes themselves. Of course, given the high number of commercials played everyday and all the fandoms going wild, I'm sure y'all know about this already by now. However, I would like to slow things down, because as far back as I can remember, this is the first time we're seeing Filipinas on conditioner tubes. Since a lot of other brands do not have people on the tubes, they're automatically out. For the brands that do have faces on the tube, usually, it's a computer generated graphic, or a stock model. It has never gone to a point, if I may say, that a conditioner brand has gone on to put very recognizably Filipina faces on a tube. Given that almost all the fast moving consumer goods in the market are imported, or the concepts for packaging and formulation are imported, you can then imagine how significant this is of a move. What this just tells me is that Filipinas are worthy enough for big companies to spend money on to put onto the tubes. The Filipina is world class enough, beautiful enough, and important enough for this. Packaging changes are reaaaally reaaaally expensive, which is why this is how I am viewing things. But wait, it's not only the packaging that changed! 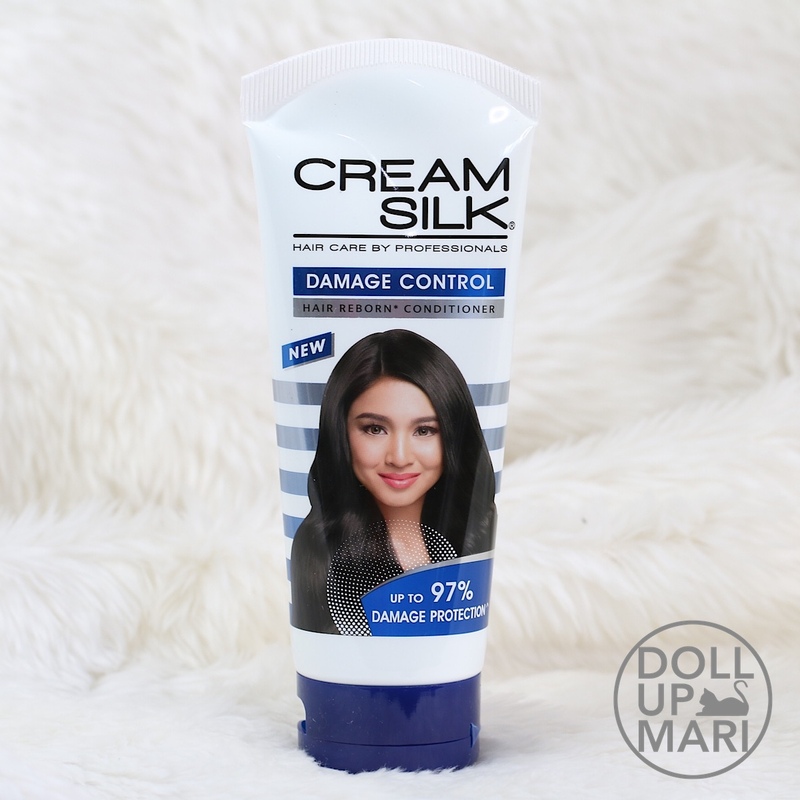 Cream Silk has been around for 33+ years, so it just means that they know Filipina hair so well. As such, they used that expertise to create an even more powerful formulation. Hence the #PowerToTransform campaign. Cream Silk made all their variants even more powerful than ever, so that consumers now have the power to transform their hair the way they envision it. Today I'll be showing you guys the different variants! Okaaay, let's get down to the products! This is how the package came! It was wrapped in a really pretty furoshiki. Inside are the 7 variants, with of course 7 of the most beautiful and admired Filipinas on them. 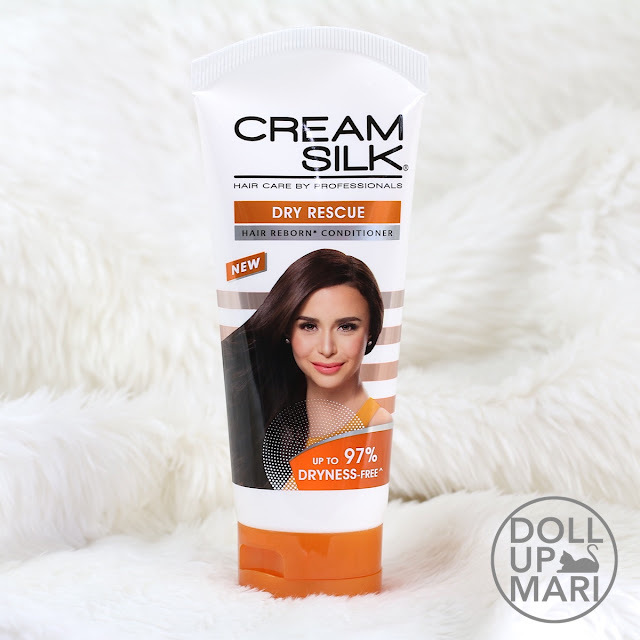 The beautiful Yassi Pressman represents Cream Silk Dry Rescue. 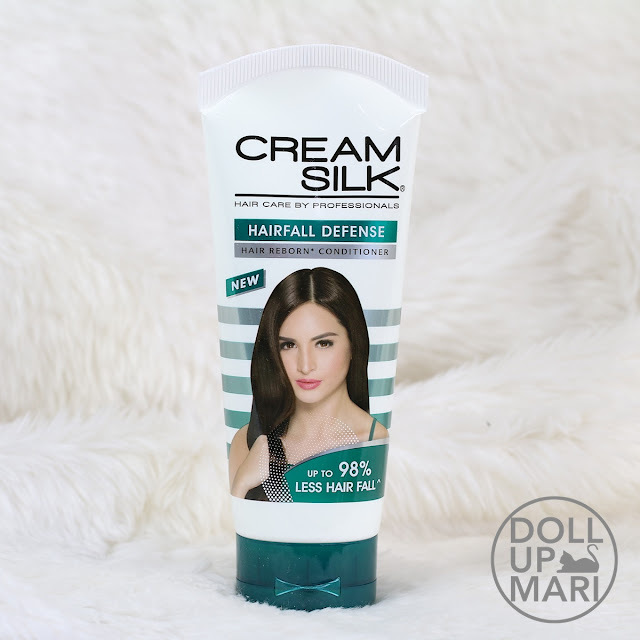 Cream Silk Dry Rescue, with Moisture Lock Complex is specially designed for dry, dehydrated hair, protecting it from dryness. Transform your hair up to 97% free of dryness from the 1st wash, based on lab tests vs non-conditioning shampoo. I've been on this variant the most as of late because bleached hair needs all the moisture it can get. Rachelle Ann Go is now the muse for Color Protect. Personally, I feel that this is such an underrated variant in general because most people with colored hair do not specifically think of this variant at the top of their minds to look for in stores. For those with ashy hair, or those who are trying to maintain crazy colors, you'll need this because it's sulfate free. Cream Silk Color Protect, with Color Protect Complex, is a sulfate-free formulation, specially designed to protect colored hair from dryness and dullness from the first wash. Transform your colored hair, with enhanced vibrancy, with up to 80% color protection for up to 20 washes. Nadine Lustre is now the muse for Damage Control. Nadine has had long and beautiful hair for as long as I can remember, and her hairstylists really like to up the ante with the braids, waves, and beach curls. I can barely name an occasion that Nadine did not have perfectly curled hair. And given that she is also an endorsement favorite, what that means is that her hair needs to go through so much styling depending on the pegs of the clients. She really needs the help of Damage Control. I think as it is, being a celeb is really damaging to the hair, due to all the hairstyle changes and styling the job demands. But for a lot of us commoners, we like to experiment so much that we also need a variant like this. I have never used this variant yet, but given that Nadine is on the tube, and that my bleached hair is fried, this is like next on the list. Cream Silk Damage Control, with Fiber Repair Complex, is specially designed to repair weak and damaged hair, protecting it against damage. From the 1st wash, transform your hair to softer, resilient hair with up to 97% damage protection against breakage & split ends, as based on lab-tests vs non-conditioning shampoo. I'm sure that this is the variant most of you are familiar with as we girls have the tendency to buy whatever is pink. Whether we like to admit it or not, pink is the queen. 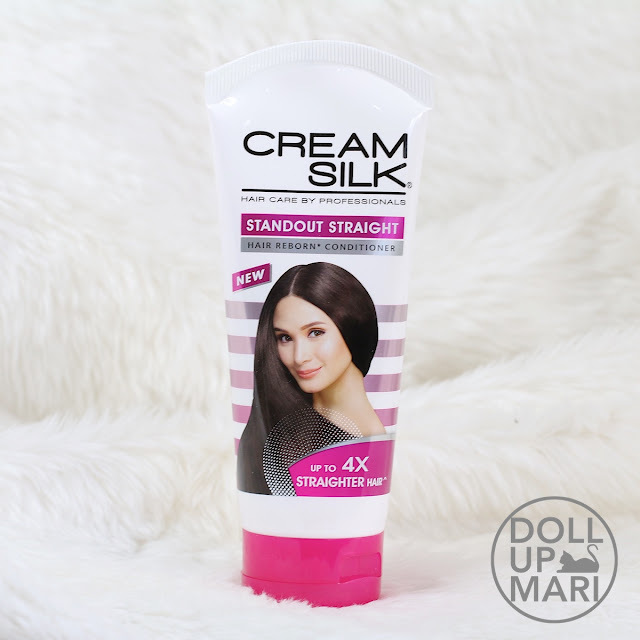 Cream Silk Standout Straight, with Frizz Defense Complex, is specially designed to make unruly and frizzy hair straighter, smoother, and helps reduce frizz, giving you beyond beautiful hair every day. Based on lab test, with daily usage, it repairs and protects for soft and smooth hair.Transform your hair up to 4x straighter from the 1st wash, based on lab tests with non-conditioning shampoo. Coleen Garcia is now the pretty muse of Hair Fall defense. No one wants to have brittle, easily falling hair on their wedding, so this is the perfect variant for the soon-to-be-married Coleen, if you ask me. Thus far, this has been the variant most of the people (I personally know) use, funnily. Like more than Standout Straight actually hahaha. And the reason is because this smells soooo good, and just lasts for soooo long on the hair. I use this variant too, and when I do use it, it's the fragrance that I remember the most. Cream Silk Hair Fall Defense, with Break-Shield Complex, is specially designed to make weak and brittle hair stronger from the roots to tips (exposed hair of the scalp). Transform your hair to softer, stronger hair and get up to 98% less hair fall from the 1st wash, based on less breakage observed on lab tests vs non-conditioning shampoo. I don't think there is someone who can personify shine better than Pia Wurtzbach. Aside from the fact that her hair is always shiny and fluidly moving, her own life story is also all about not letting anyone dull your shine. Cream Silk Stunning Shine, with Shine Boost Complex, is specially designed to moisturize dull and lifeless hair, protecting it against daily aggressors that cause dryness. Transform your hair with up to 50% more shine from the 1st wash, based on shine improvement in lab tests vs non-conditioning shampoo. And the very beautiful and talented Julie Anne San Jose is the new muse for Dandruff Free. Cream Silk Dandruff Free, with Scalp Protect Complex, is specially designed to eliminate dandruff on itchy and flaky scalp (due to dandruff). Transform your hair up to 100% dandruff-free from the 1st wash and restore its protective barrier for long-lasting dandruff protection, with no visible flakes with regular use of Unilever anti-dandruff shampoo. And now, let's go to my own story. Sooo I had my hair bleached in Korea last year. Bleaching is already damaging as it is, and my veeeeery slow growing hair is definitely not helping. This is me in November last year with really vibrantly bleached hair. I wanted to have ash brown hair, but in reality, it was just so hard to keep it ashy. I could have it colored ash one day, and not a week later, it's corn hair colored again, like this photo. I learned so much about bleaching from my own experiences, actually. Apparently, bleaching is not dyeing your hair as blonde color-- it's lifting off the existing pigments in your strands (the pigments that make you brunette) to make it blonde. The result is hair that's like swiss cheese when zoomed in. What this means is that, for one, hair is really damaged as a result. What this also means is that hair is more porous, which is why whenever it's dyed over, the deposited dye pigments don't stay for long. The other problem with bleached hair is that bleached hair should not be washed often, should not be exposed to the sun often, and should not be exposed to pool water. And given that this is the Philippines, all those things I said are bound to happen often. Ideally, I learned, bleached hair shouldn't be washed everyday, but hey, how can we do that in the heat? And how can we avoid the sun? And most importantly, how can we avoid Boracay? I'm very thankful that, while in this photo (taken in February), my hair looked like ugly corn hair color wise, at least it didn't feel like corn hair coz I was on Cream Silk most of the time. I used Dry Rescue the most often from the time I bleached my hair till now (I used Standout Straight the most often years ago). Purple shampoo can only do so much to keep hair from going corn colored, but at least I got one less problem as it's not rough nor frizzy. I got tired of bleached hair eventually, despite people telling me how much they liked the look on me. As you can see on this photo, my hair had vomited out much of the hair color it had. The beach photo above was taken in February, and this photo in March. It had vomited so much pigment out in the span of a month. Now, in hindsight, I wish I knew more about Cream Silk Color Protect, coz it could've been the best customized solution for me. But oh well, at least Cream Silk generally gets me no matter what. 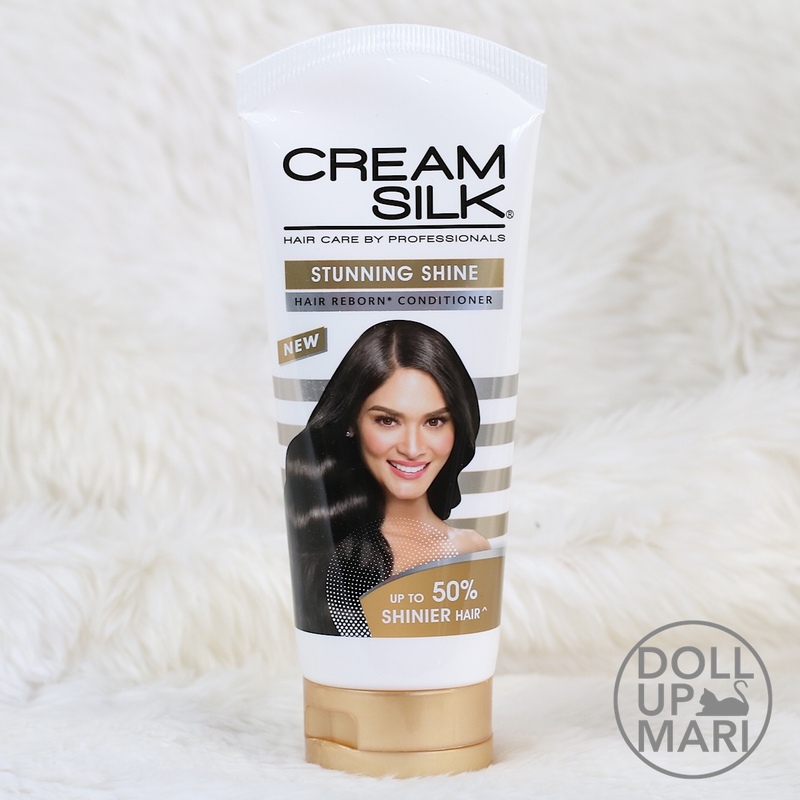 Cream Silk is so special of a brand in a way that it's the only brand that's engineered so precisely that we can all have nice and smooth hair all day that's not heavy nor oily. When I use imported conditioners, I can tell the difference that while my hair is nourished and all, my hair tends to feel heavier or oilier. Cream Silk's R&D really understands the Philippine climate, hence churning out the optimal conditioners for the heat. I finally went back to brunette last March, after 5.5 months of blonde hair! After going back to brunette, I had an extreme newfound appreciation for brunette hair! 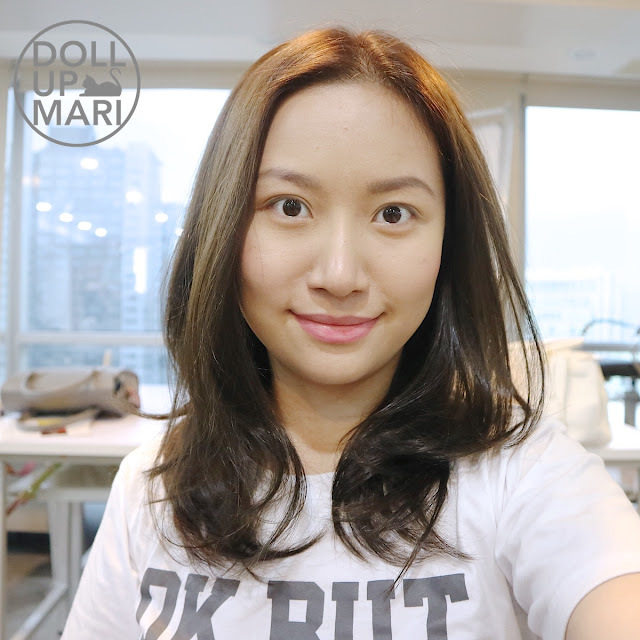 Natural black hair turns out to be so pretty after all. I'm like 95% close to dyeing my hair black, or "Pia Black" as I like to call it. But, the care doesn't end here. The point I wanted to make is that bleached hair doesn't become un-bleached when you dye it back to brunette. Basically, the only way to have un-bleached hair is to cut the bleached part off, which is so hard given my slow growing hair. My hair only grows 1.5cm every month, so now, 11 months after my bleach job, my regrowth is more or less still just at my ear. It'll take another half year for my un-bleached hair to grow to an acceptable level (like say neck length). The bleached hair is just covered with pigment, but it still is the same damaged hair deep down. And this is what I mean. I had this taken a month ago, and despite the several re-depositing of pigments I've done since March (I've done 4 or 5 other special dye jobs to keep my hair brunette), my hair just vomits out the pigments. Give it a few weeks after each dye job, and it'll end up like this. And you're immediately reminded that your bleached hair is still bleached hair no matter what, even after you've tried to cover over it so many times. I still use Dry Rescue a lot, but given the gracious box Cream Silk sent, I think I'll be using all of them hahaha. I'll be needing Dry Rescue to keep my hair tamed, Damage Control to prevent more split end formation, Standout Straight to keep it from being mushroom hair, and Color Protect to prevent it from vomiting. The most important thing for me now is having different specialized variants to deal with specific problems I may be encountering at a particular time. 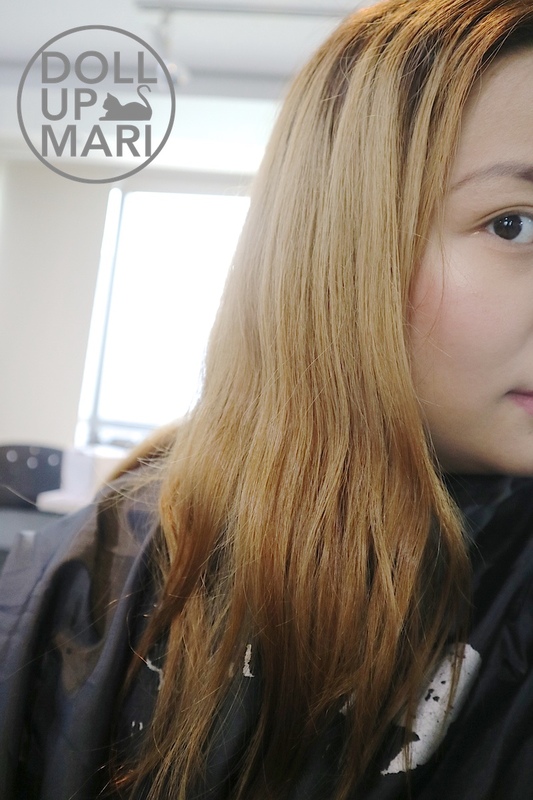 Usually, I have a nasty case of split ends and need haircuts quarterly now (compared to the usual yearly haircuts I do since my hair bareluy grows anyways), so for when I have split ends, Hair Fall Defense and Damage Control would be good choices. When it's colder, I'll need Standout Straight to help prevent my hair from being mushroom-ey. And of course, I need sulfate free conditioners like Color Protect, and Dry Rescue will always be a favorite of mine. I'm not here to say which variant is the best for me, or the best for you. Instead, I want to say that you have the choice, and the power, to choose which variant you feel is the most appropriate for your goals or your current hair problems. We're all different, in the sense that some of us have straight hair, some have curly hair. Some of us have never dyed our hair, while there are also people who have already experimented with all the colors of the rainbow on their head. We have different situations and different problems, but at the end of the day, we just want nice hair. No matter where we're at, Cream Silk is here to get us to the shared goal of having nice hair.